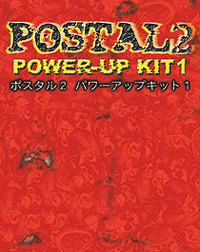 Postal(tm) 2 (C) 2002 RWS, Inc. 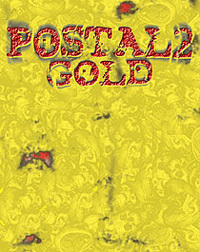 Developed by RWS, Inc. Published by MediumRare, LLC. Unreal(tm) Engine (C) 1997-2002 Epic Games, Inc. All RightsReserved. MathEngine Karma (C) 2002 MathEngine PLC. 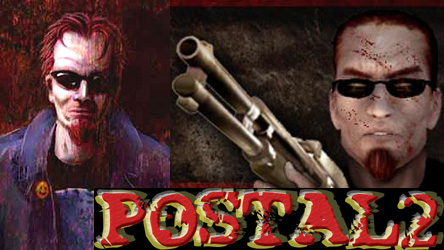 Postal, Postal 2, the Postal 2 logo, Running With Scissors, and the Running With Scissors logo aretrademarks or registered trademarks of RWS, Inc. Epic Games and Unreal areregistered trademarks or trademarks of Epic Games, Inc, used under license.MathEngine and Karma and the MathEngine and Karma logos are registeredtrademarks or trademarks of MathEngine PLC, used under license. All rightsreserved.